For the first time in many years malt production is falling in Russia. The resource base has been dynamically developing since the middle of the 90-ies. But the malt deficit was satisfies only by the end of 2007, when malt production grew by 26%. This year can also be considered the most successful one both for breweries and malt producers by volume market growth volume. May 2008 was the turning point, as it became obvious that the current resource supply is more than enough to satisfy the demand. There began the first decline in malt production. 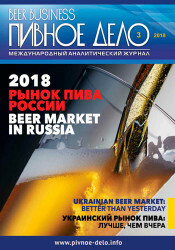 Within the past five years Ukraine beer market has been exhibiting quite a robust development dynamics. 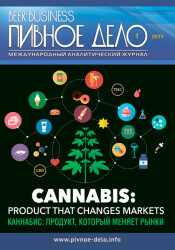 Its annual growth rate left behind not only the saturated market of developed countries but also exceeded the largest in the Eastern region Russian market. However in 2008 the dynamics which had been considered predictable changed. In spring 2009 company Profi Online Research found out about the favorite brands of young Russians among those presented on the beer market. 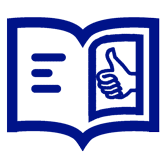 In the research the emphasis was made on the consumption assessment, loyalty, and brand awareness. The article includes previously published results of the research and some details of young audience preferences. 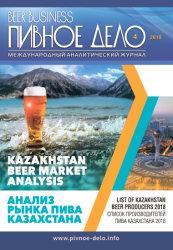 Victoria Sokolova, research director of Profi Online Research speakes in more details about young Russians preferences in the context of beer market price segmentation and main factor effecting the brand choice. Costs cut programs have become more actual in the times of economic instability. While in the past high profitability of breweries was driven by fast market growth, now good financial performance can be achieved only with expenditure reduction. However the brewers say that the projects on operational costs optimization has been launched long ago and various market development schemes are taken into account in companies’ plans.